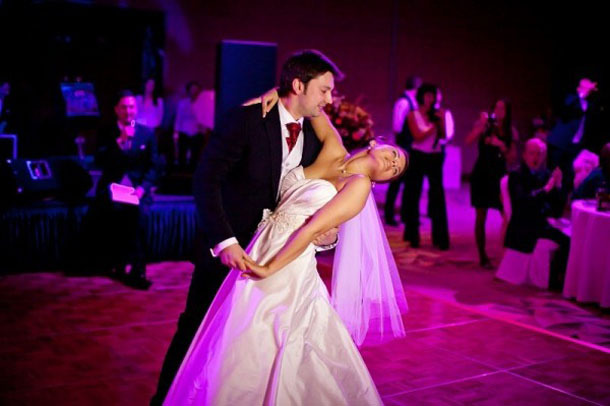 The Bridal couple usually dance alone for the first song and are joined gradually by the rest of the Bridal Party. The DJ generally takes control of proceedings from this point. Gradually increase the tempo of your music, taking into account any requests you might receive. Remember to find out and announce the name of any person dedicating a song to the Bride & Groom. Inebriated people often don’t offer that detail without being prompted. “Ladies and Gentlemen, (bride) and (groom) have now requested that those of you who would like photos please make your way to the Photo Booth.